The GD-SIS is offering one $750 grant to its members to attend the DLC Meeting and FDL Conference. The Government Publishing office hosts this conference in every fall in the Washington DC area. 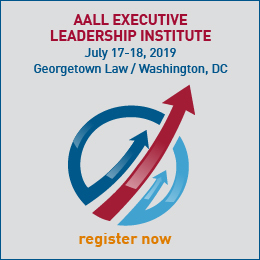 This conference includes educational programming from the Federal Depository community, federal agency representatives, the Depository Library Council, and the GPO. GD-SIS members, or their documents support staff with a recommendation letter from a member, are eligible. Grant recipient must be a member in good standing of the GD-SIS. Grant recipient must not have received a previous GD-SIS grant within three years of applying. Grant recipient will write a newsletter article for JURISDOCS. Download and complete the application and email it to Grants Committee Chair, Melanie Sims. The application deadline is 11 p.m. ET, Monday, September 24, 2018. Veronica Maclay was a librarian at California Hastings College of Law for 27 years before passing away in October of 2000. She held several titles and had different responsibilities but remained the law library’s federal documents coordinator throughout her career. She served chairperson of the Government Documents SIS in 1993-1994 and was a strong advocate for access to government information. The Veronica Maclay Grant is awarded yearly to a library student who wishes to specialize in government documents. It is given in the amount of $1,250 and may be used toward any travel-related expense that the student might incur from a professional or educational activity. Grant recipient must be a student enrolled in a library or information sciences program. Grant applicant must demonstrate an interest in government documents in his or her grant application. Grant recipient will attend the GD-SIS Breakfast/Business Meeting. Grant recipient will attend at least one GD-SIS-sponsored program. Please download and complete the application, and email it to the Grants Committee Chair, Melanie Sims. Grant applications are accepted throughout the year. Congratulations to the GD-SIS members selected to participate in the AALL Management Institute! In recognition and support of this activity, the Government Documents SIS is offering a grant to cover the Institute’s $875 registration. Preference will be given to individuals who will not receive any support from their employing institution. Please download and complete the application, and email it to the Grants Committee Chair, Melanie Sims. The application deadline is Monday, October 29, 2018. 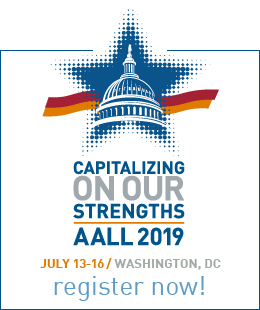 The GD-SIS will award one travel grant to members to attend the 2019 AALL Annual Conference in Washington, D.C. for the amount of $1250. The deadline for applications is April 15, 2019. Grant applicants should explain their need for the grant in their grant application. CONGRATULATIONS TO OUR 2017-18 GRANT RECIPIENTS!